It's a fate Will had been working hard to avoid. "Even after I realized I had PKD, I thought I could stave it off," he tells the station. "So for the past seven or eight years, I've been really trying to keep my creatinine down, but at some point, there's not much you can do about it." Michelle, however, hoped there was something she could do about it. "It starts out as kind of a joke, like 'Oh, I'll give you mine," she tells KAAL of the couple's initial discussions. "And then all of a sudden you're like, 'You're getting mine.' And then you just hope it all works out, trying to will it to happen." After extensive, sometimes exhausting testing at Mayo Clinic's Rochester campus, it did happen. 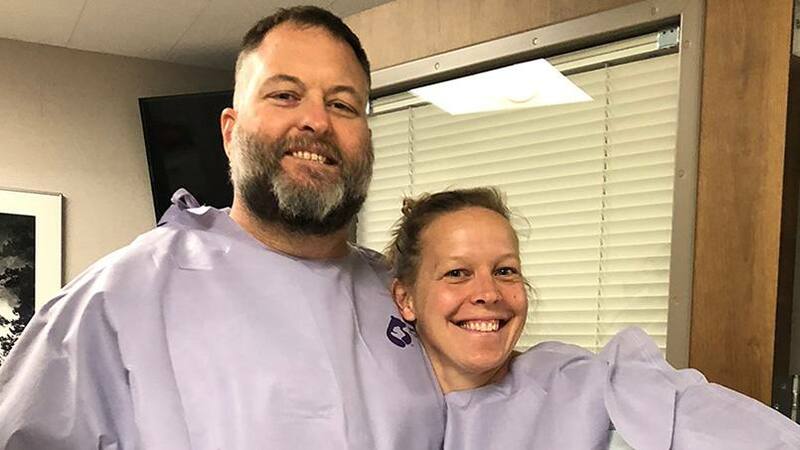 "I think it's almost been kind of fun, other than sitting in bed for three days," Will tells KAAL-TV of his and Michelle's kidney transplant, a procedure Michelle says couldn't have gone better. "Our care team was out of this world," she says. "Our transplant and patient care experience as a whole was so positive. We stayed at the Gift of Life Transplant House for a week afterward and it was a wonderful place to rest and heal. I can honestly say I feel as good as I did back when I had both kidneys," Michelle says. 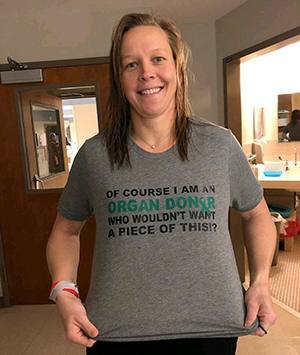 "We're just hoping our story will inspire others to consider living organ donation as well," she adds. "We're both really glad we chose Mayo Clinic." You can read more of Michelle and Will's story here. Then, give us the gift of your comments below before using the social media tools atop this page to share this story with others. Read about Mayo Clinic's Transplant Center.